Now I haven’t seen X-MEN: APOCALYPSE, but if reviews were any indication, it sucked pretty hard. BUT I’m still curious… but, nevermind all that, one thing is for sure is that fans are definitely wondering where the franchise might go next. io9 reported last year that FOX is scrambling to reboot the franchise. Which makes sense, since that, their MARVEL movies have definitely been hit or miss, especially with the X movies. Though it seems like FOX is planning a lot of spin-offs to build on their mutant franchise, with NEW MUTANTS, X-FORCE, and GAMBIT in development… and of course, we can’t forget DEADPOOL 2, and also LOGAN about to come out, but the flagship series does need a little help. But now it seems like a new rumor has surfaced. MovieWeb is citing that production listing went up with a new movie titled, X-MEN: SUPERNOVA, on that list. 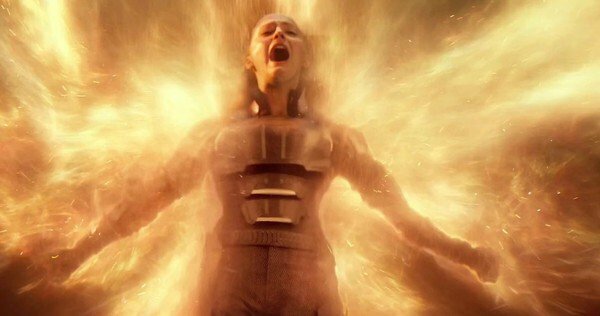 It seems like this has fans abuzz with the possibility FOX will reboot the Dark Phoenix storyline. Fans of the movies will remember that FOX kind of did a hatchet job on the Dark Phoenix storyline over X-2: X-MEN UNITED & and the God awful X-MEN: THE LAST STAND (Grrrrrrr Brett Ratner!!!). But with DAYS OF FUTURE PAST essentially hitting reset button on the movie timeline, it’s anyone’s guess. And if you’re wondering why “supernova” might fuel this speculation? Well, if you’re not familiar with the original comic story, it’s a completely valid line to draw. But I won’t go too far into that, I mean, SPOILERS! Will Bryan Singer return to direct? Will the FIRST CLASS cast return? As far as Singer, there seem to be conflicting reports. The io9 article cites he won’t return. And the MovieWeb article cites it’s still unknown. Personally, I hope he doesn’t. I mean the first X-MEN movie was exciting and fun, but looking back on his X movies, I kind of feel like he really doesn’t have a sense for the characters. What I would love to see happen is FOX try and woo Mathew Vaughn back. I thought he did a great job with FIRST CLASS. And I think it’ll be really cool to see what he would do with a clean slate. As for the FIRST CLASS cast returning? Well, that might be a little problematic. As it seems they all promised each other they wouldn’t return without each other… so that could mean BIG MONEY Fox will need to put up to get them back. As for a possible reboot? What I think would be really awesome to see is, just revamp the whole thing. Play nice with MARVEL STUDIOS like Sony did with SPIDER-MAN HOMECOMING, and frame a film without retelling the back story, since we already know it, and hit the ground running for the Dark Phoenix story. Which could be a whole new trilogy in it of itself. In addition to that? I’d recast the whole cast. I mean, with Hugh Jackman hanging up his claws after LOGAN, and the FIRST CLASS cast potentially being too expensive to bring back. Now might be the time to recast the franchise. But right now, it’s anyone’s guess what will happen. But as soon as I hear something, I’ll definitely let you know. In the meantime, what do you think? Let me know on the FUZZYBUG Facebook page!